Congratulations to Bye-Fellow Dr Charles Read on being awarded a dissertation prize by the International Economic History Association (IEHA) for the best dissertation in Economic History completed in 2015, 2016 or 2017 at any university in the world. 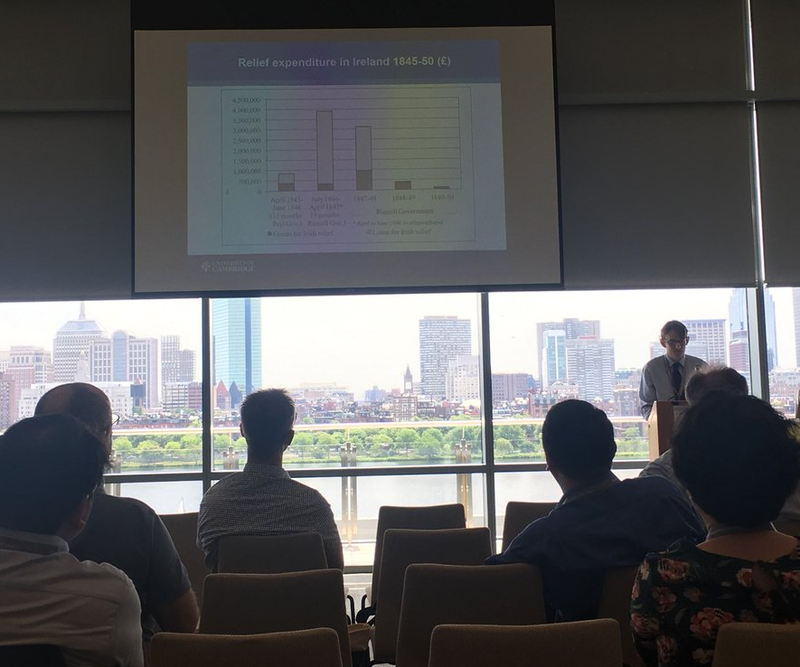 The award was presented at the 18th World Economic History Congress hosted two weeks ago at MIT in Boston. The IEHA's dissertation prizes are the most prestigious prizes available in Economic History. Dr Read's doctoral research has previously also won the Thirsk-Feinstein PhD Dissertation Prize, the T.S. Ashton Prize and the New Researcher Prize of the Economic History Society (EHS). No one scholar has ever before won all three EHS prizes, never mind the IEHA prize as well. The dissertation was for his thesis entitled 'British Economic Policy and Ireland, c.1841–53'.